On Tuesday, April 8, Microsoft will bid adieu to Windows XP, delivering the final security updates for the twelve year-old OS. While many XP users out there plan on keeping their PC—with or without Microsoft's support—many others are looking to at long last switch to a new computer. Computer technology has changed a lot since the turn of the century, however. So as we head into XP's final weekend, here are a few key things to keep in mind if you're a displaced Windows XP lover on the lookout for a new PC. Do you want to be able to upgrade or fix parts? Part of the fun of PCs can be upgrading its components. On many modern PCs that's easier said than done. Getting a slick laptop in an aluminum unibody case might look cool, but if you ever want to upgrade your RAM or hard drive, swap out a broken keyboard, or even replace the battery down the line, make sure the laptop isn't infuriating or even downright impossible to crack open. Many of today's PCs sacrifice repairability in favor of sleekness. 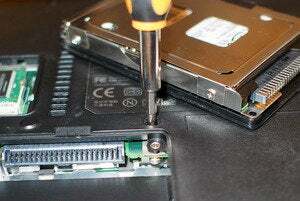 Lenovo is usually a good brand for tinkerers, with many laptops securing RAM, storage, and other components with one or two screws. If upgrading components is important to you, take the time to check out the laptop's underside to see what you're getting into. Business-grade laptops typically offer the easiest access; Ultrabooks frequently don't even allow you to swap out the battery. If you're looking at a desktop, you shouldn't have a problem with getting into the case, but you'll want to check that the back has standard screw heads. All-in-one PCs are usually a bear to repair, with minimal upgrade avenues available. Consider getting a touchscreen in your Windows 8.1 PC. In my opinion, Windows 8.1 offers the best Windows desktop yet in terms of responsiveness, file management, and speedy boot times. But there's a lot more to Windows 8.1 than just the desktop thanks to the new touch-centric modern UI. If you really want to get the most out of Windows 8.1 it's worth your time to check out the wide variety of laptops, all-in-ones, and standard PC monitors with touch. Prices on touchscreen laptops have plunged over the past year, and unlike at Windows 8's launch, affordable options are now available. Even if you think you won't need a finger-friendly display, at the very least you should try it out at the store to see if touch is something you could use. If you want a tablet instead of a regular PC, longtime XP users probably won't be happy with a Windows RT device. Touch wasn't the only thing Microsoft changed when it rolled out Windows 8 more than a year and a half ago; it also added a new version of Windows for ARM processors for the first time. Dubbed Windows RT, the ARM version looks just like regular Windows, but with one gigantic caveat: no backwards compatibility. In other words, you can't download and install classic desktop apps in Windows RT. You can only run full-screen Metro apps from the Windows Store. If you're coming from XP, you probably don't want to get stuck with a device that operates almost exclusively in Microsoft's modern UI (though Windows RT does offer a desktop version of Internet Explorer as well as baked-in desktop Office apps). Fortunately, Windows RT is designed for use on tablets such as the Lumia 2520 and the Surface 2, so being fooled by RT shouldn't be an issue if you're looking only at traditional PC form factors. Keep an eye out if you're considering a "hybrid" that switches between laptop and tablet form factors, however, or if you're buying a Windows tablet with plans to pick up a supplemental keyboard. SSDs can be pricey, but they add a lot of responsiveness to your PC. There are two kinds of onboard storage drives you can get with PCs these days: standard hard disk drives (HDD) and solid-state storage (SSD). If you're looking to get as much storage space as you can then you'll want a PC with an HDD. Hard drives haven't changed a ton in recent years. They're just faster, more reliable, and far more spacious than they were in the early days of XP. But if you're looking to make your PC feel like greased lightning, then you'll want to look at a device with SSD. 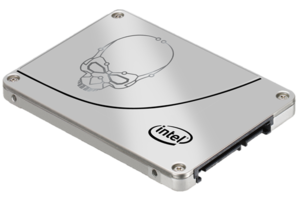 Seriously: An SSD is the most noticeable upgrade you can make with a PC, speeding up everything from boot times to application loading to file transfers speeds. If you've never used a PC outfitted with an SSD, the first time almost feels like magic—but what you gain in speed, you lose in affordability and storage capacity. A PC with an SSD will generally be more expensive than a device with an HDD, and most affordable devices loaded with SSDs max out around 256GB of built-in storage, though larger drives are available. They're not as common as they once were, but Windows 7 PCs are still out there. We saved the biggest for last. Depending on the shops you visit, you may be confronted with two choices for your next PC: Windows 7 or Windows 8.1. 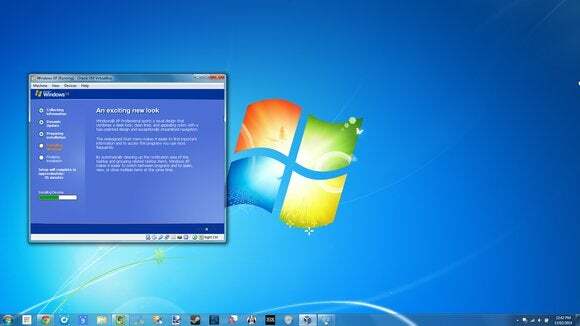 While Windows 7 will be more familiar to XP users than Windows 8.1, it can also be more expensive to get a Windows 7 PC at this point, since they're less common now and most often found in business-class machines. 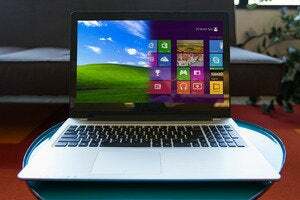 But if personal comfort is more important than saving a few bucks, Windows 7 may be worth it. Keep in mind, however, that Windows 8.1 is what Microsoft is banking its future on. As of right now, it will have a longer support time than Windows 7, and some of the more familiar aspects of Windows, such as the Start menu, are headed back to Microsoft's latest version of Windows. Plus, as I said earlier, Windows 8.1 is a better desktop PC than Windows 7—as long as you banish the Start screen, that is.